R. [name omitted] has worked for me for about 6 years. He’ll tell you that when I hired him HE KNEW NOTHING! Of course…I knew nothing about hiring Filipinos at the time either! The biggest thing I’ve learned from R. is that consistency in a worker is REALLY important. He’s not the smartest guy ever. His english isn’t the best ever. He’s consistent. He’ll try anything. Fail or succeed, he’ll try it. He always replies to my emails. He always sends me daily reports. He always shows up to work (ok…not ALWAYS…but pretty close). I love him for what he’s taught me (not to mention what he’s done for my business). 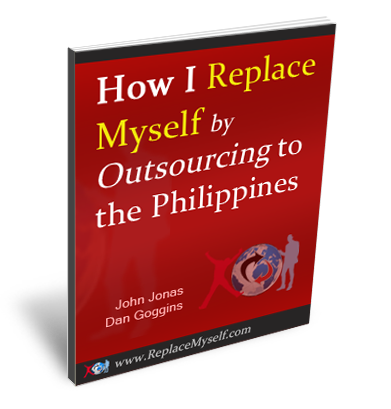 I have read many comments about the problems encountered in outsourcing to the Philippines. In this article, I will talk about the major problems and give suggestions and possible solution to them. I want to share my opinion as one of the Filipino workers who have worked in the online industry for 6 years. This is a very common problem that employers want to deal with. You hire an employee and after a week or so that employee never communicates and suddenly disappeared without warning. This is very frustrating on the employerâ€™s side. One thing that may cause this problem is the lack of communication in both employer and employee. This may result to an unclear instructions, lack of training materials, or lack of understanding of training materials on the part of the employee. Most employers would chose employees with good English without any experience in SEO or online task. And if an employer would only send an email and tell that employee to build backlinks to a certain site without explaining what backlinks are and why they are important, that employee will surely be stuck on work. And when that happened, that employee will just leave because of lack of understanding. The most difficult task to do is the task that we donâ€™t even understand how to do it. Some of us are afraid to ask because of the expectations the employers set. Most of us are afraid to tell you that WE DONâ€™T KNOW how to do a certain task. That is why some employees just leave and disappear. Another thing that can cause this problem is the employee doesnâ€™t want to do a certain task. I have a co-employee that we want to work on a different task aside from writing. After a few weeks of trying, she never sent us any updates and when I asked her why, she said she wants to resign. The reason is that she does not want the assigned task. She is not good at it. So I convinced her to stay and we will give her the task she wants and that is writing articles. She stayed working with us because she is happy with what she is doing. This is only one example of this kind of situation. If you hire an employee, try to talk to them often. They need you. Try to chat with them (not just email). Talk to them so that you will know their weakness and strength. Donâ€™t just rely on training materials. Training materials are very good references, but you need reach out to your employees and let them feel that they are not left behind. 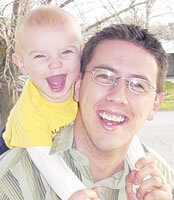 By trying to talk to them, you will determine what task would be appropriate for their skills. And because you know their strength, you can give them the task they wanted to do. Donâ€™t give a linkbuilding task to a web designer. Know your employees well and set up a good relationship with them.